Dubai is making steady progress with its tourism goals, with the city attracting 14.9 million overnight visitors in 2016, according to Dubai’s Department of Tourism and Commerce Marketing (Dubai Tourism). This represents a five percent increase on 2015, and an impressive four-year CAGR (compound annual growth rate) of eight percent since 2012 when His Highness Sheikh Mohammed Bin Rashid Al Maktoum, Vice President and Prime Minister of UAE and Ruler of Dubai, launched the 2020 tourism strategy. 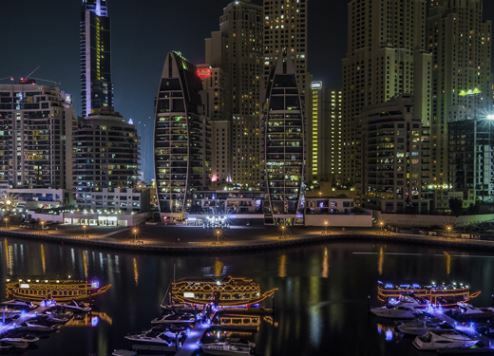 This performance, which is twice the global travel industry growth rate of four percent over the same period (2012-2016), as forecasted by the United Nations World Travel Organisation (UNWTO), puts Dubai Tourism in a strong position to achieve its goal of 20 million visitors by 2020. Dubai’s traditional core markets – the GCC, India, UK and Germany - continue to deliver more than 40 percent of the emirate’s tourism traffic. Dubai’s biggest source market by country, India, accounted for almost 1.8 million overnight tourists in 2016, up 12 percent year on year, while the GCC remained the number one regional volume generator for tourism to the city, delivering 3.4 million visitors, up five percent on 2015. Saudi Arabia spearheaded the contribution with more than 1.6 million visitors, representing a six percent increase year on year. Dubai is considered one of the safest cities in the world, which is a strong advantage when purchasing property. Even incidents of petty crime are rare. The UAE is an economic and political safe haven and a beacon of stability in the Middle East. Dubai was ranked the best city for quality of living across the Middle East and Africa region in Mercer’s 2017 Quality of Living Survey. The city took 74th place in the global ranking, making it MEA’s top city for the fifth year running. Dubai rose one position in this year’s survey, ranking three spots ahead of its neighbour, Abu Dhabi. The survey of 231 cities helps companies and organisations determine compensation and hardship allowances for international staff. It uses dozens of criteria such as political stability, healthcare, education, crime, recreation and transport. City infrastructure was highlighted separately in this year’s Quality of Living Survey and Dubai also ranked first in the MEA region and 51st worldwide in this category. Dubai’s real estate market is maturing as the city’s population increases each year. In January 2016, Dubai’s population reached 2.4 million and this is expected to more than double to 5.2 million by 2030, according to the Dubai Statistics Centre. Investors are lining up to purchase property that will cater to rising rental demand. Dubai real estate assets have generated a 120 percent return for investors in the decade since the global financial crisis, according to a recent report published by Reidin/Global Capital Partners. Property investment in Dubai was second only to investment in the Nasdaq Index, according to the analysis. Dubai real estate has yielded returns of 121 percent during the last 10 years with the city becoming a magnet for savvy international investors. During the first quarter of 2017, Dubai recorded a sharp rise in the value of real estate transactions compared to the same period last year, according to the Dubai Land Department. The real estate authority reported AED77 billion (US$20.9 billion) worth of deals in the first three months of the year, up from AED54.7 billion ($14.89 billion) in January to March 2016. Dubai is gearing up to host the next World Expo, which will take place from October 2020 to April 2021. The mega event is expected to attract around 25 million visitors from at least 180 nations, create more than 277,000 new jobs and generate an economic impact of around US$24 billion. Since Dubai was declared the 2020 World Expo host, the off-plan property sector has boomed. Investors buying a property near the Expo site in Dubai South, close to the new Al Maktoum International Airport (DWC), are guaranteed a robust return on investment. Two up-and-coming precincts that are close to the Expo site, DWC, and several key Dubai landmarks, attractions and infrastructure projects, are Jumeirah Village Triangle and Jumeirah Village Circle. The First Group is developing two properties in this area – one in each district. Millennium Place JVT Dubai is under development in Jumeirah Village Triangle and Ramada Plaza JVC is being built in Jumeirah Village Circle, both of which will open in time for Expo 2020 Dubai. In addition, The First Group’s portfolio of residential towers in Dubai Sports City are also a convenient distance from the Expo site. Dubai created the Ministry of Happiness in 2016, which has a mandate to develop programmes and policies to improve the happiness of Dubai’s residents. Since then, His Highness Sheikh Mohammed bin Rashid Al Maktoum, Vice President and Prime Minister of the UAE and Ruler of Dubai, has adopted the Happiness Agenda by Smart Dubai. The Happiness Agenda is a globally unique, science-based approach to measuring and impacting people’s happiness, fuelling the city’s transformation. Dubai Culture has stepped in to support Smart Dubai in leading a culture shift in the city through projects designed to build awareness and influence individuals, businesses and city leadership to prioritise happiness. Dubai South, the new area of Dubai that houses several important infrastructure developments including the Expo 2020 Dubai site, has been dubbed the ‘City of Happiness’ by its acting CEO Ahmed Al Ansari. He believes this city-within-a-city is a model for cities of the future in that it champions new ways of living, working and commuting, all of which encourage happiness. “Rooted in the overarching societal themes of the Dubai Plan 2021, at Dubai South we are reinventing the urban ecosystem and experience, offering a city designed primarily on the happiness and well-being of its people, with the aim of providing solutions for everyday living,” says Al Ansari. Dubai South is a master-planned city with eight key districts. It features a pedestrian-friendly layout, multiple entry and exit points to ease traffic congestion, employs good design practice and uses sustainable materials.